As much as the rationale may have made sense in the early days of Marvel Netflix TV show hype, rebranding the Defenders to a street level crew was unlikely to last for long. While they have their merits, the likes of Luke Cage, Iron Fist, Daredevil, and Jessica Jones could never touch the cosmic weirdness of Marvel’s original Defenders title. In “The Best Defense,” Marvel restores the original 1970’s Defenders core lineup, with the non-team team assembling for five one-shots set in the Marvel Fresh Start era. 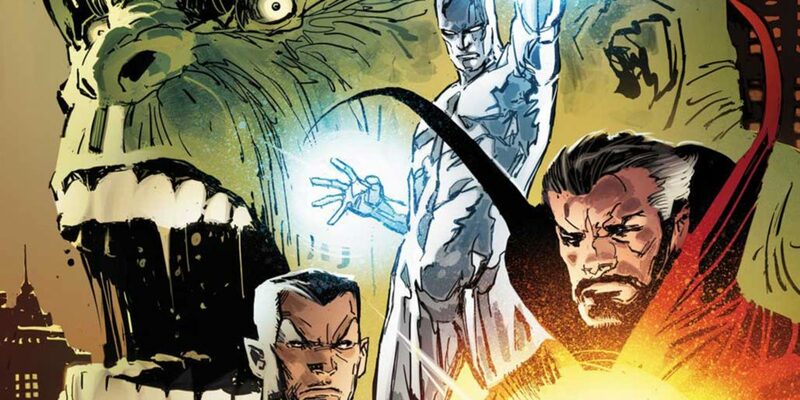 The Hulk, Doctor Strange, Silver Surfer, and Namor the Sub-Mariner have had a rocky relationship at the best of times, and “The Best Defense” promises a series of events to convince them to come together once more.